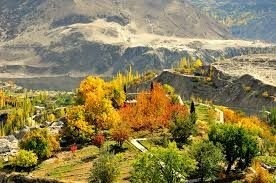 Hunza Valley is famous by its natural beauty, climatic conditions of the valley. The way of living of the natives and their famous activities. 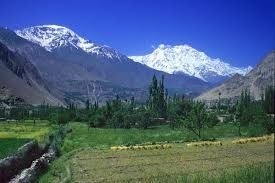 Hunza valley is a famous mountain valley in Pakistan. It is surrounded by beautiful natural scenes and is a paradise of the explorers. Its borders are connected with Russia and Afghanistan. Most of the population consists of poor farmers who are Muslims by faith. Climatic condition of the valley are of exile me nature.In winter the whole valley is buried under the piles of snow. The nature spend the whole winter in their stone houses without work. The winter started his journey in summer with some hillmen. They visited Gilgat, Nomal Chatt, Hussanabad, Sarat pashy and Lazdor one by one. 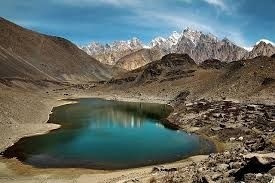 The water of hunza river is very sweet. The way from Gilgat to nomal was very narrow and stony, which was only fit for pack animal. They had to climb many steep hills and dangerous stops. The way from Nomal to Chatt was no less difficult. They covered it with loaded camels and ponies. Nomal is a beautiful village with green fields and fresh flowing mountain streams. Seatrain miles from nomal chalt are a bare and barren village. But both the villages abound in wild fruit. When the writer reached Hussainabad, he saw some of the most beautiful scenery in the world. He was also impressed by the hospitable nature of the natives. He says that Hussain abad ply polo game and every village has a polo ground. The way from Hussainabad to sarat was very difficult. They have to cross many big and Small Mountains. Streams the way from sarat to pasu as very hard and mountainous. The big glaciers were spread over miles and miles. The travelers felt out of breath at mountain tops for lack of oxygen from sarat, the party reached lazdar and their journey ended there. 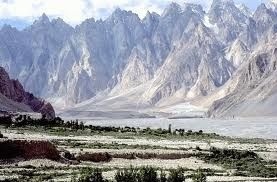 Some historical and beautiful places of Pakistan you must visit before you die!